Find Security State Bank branch locations near you. With 6 branches in Texas, you will find Security State Bank conveniently located near you. Bank rating displayed here is the average value for all Security State Bank branches. A total of 1 customers had cast their vote for 6 branches and in average, Security State Bank got a score of 1.0 out of 5 stars. 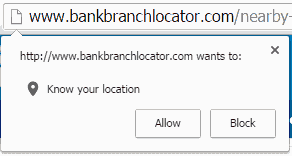 This site is not affiliated with, maintained, sponsored or endorsed by Security State Bank or any government agency. Bank and branch information published on this website may not be true or accurate at all times. BankBranchLocator.com assumes no responsibility or liability for the accuracy or completeness of the listings.